Um Ismail, an uneducated widowed mother of three living in an impoverished village in Sohag in Upper Egypt, often has a hard time coping with looking after her elderly bed-ridden mother in her hometown and keeping her job in Cairo to provide food and medication for her family. She lives in a red-brick house with a concrete ceiling in Sohag but has to travel all the way to Cairo in search of a reasonable salary since jobs in her village are scarce and those that are there often do not pay. She takes care of elderly people in Cairo, but she can only work part time as she needs to be able to take care of her mother back home. She also needs to bear the expenses of travel. Most of her salary is spent on food and her mother’s medical care since neither she nor her mother has any kind of health or social insurance. Her daughter, who has dropped out of school, takes care of her grandmother when Um Ismail is away, while her son, who has also dropped out of school, works as a mechanic to help keep food on the family dinner table. Like many people in remote rural areas of Upper Egypt, Um Ismail does not have the official papers needed to receive any social assistance from the government or NGOs. “We don’t want money. We need to get a loan to buy a tok-tok for my son to work with and then pay it back in installments because we cannot afford to buy it on our own,” Um Ismail told Al-Ahram Weekly. Yet, Um Ismail may be luckier than some living in rural Upper Egypt. Since the political turmoil following the 25 January Revolution, Egypt has been struggling with economic adversity, leaving more people in the throes of poverty. 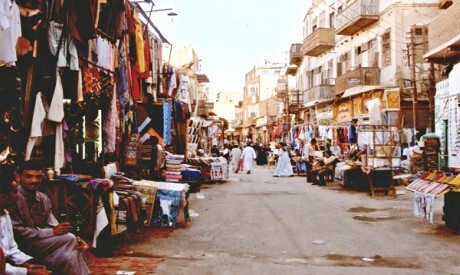 The government has been focusing efforts on eradicating poverty in Upper Egypt as part of its 2030 development goals, establishing a higher authority for the development of the region and launching national mega-projects to generate employment, while NGOs have been joining forces and pouring in money to projects to help improve life in rural Upper Egypt. Yet, the consensus is that a lot still remains to be done. 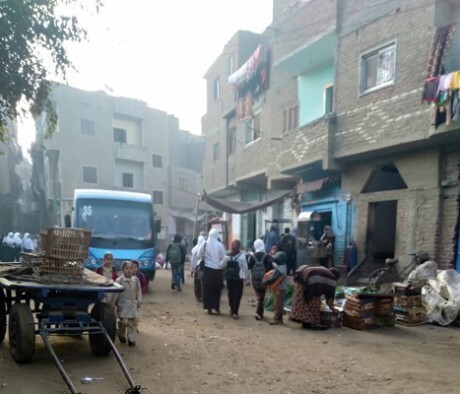 “Poverty in Upper Egypt is the legacy of more than three decades of marginalisation that needs tremendous effort to eradicate,” said Ashraf Hammam, manager of NGO the Al-Kheir (benevolence) Organisation for Comprehensive Development. The reflection of the sunlight in the River Nile in the Upper Egyptian city of Minya carries prospects for the area’s development, but it may still reflect something that has been out of balance over recent years. Poverty has manifested itself in more than one form, including in the city’s shabby, red-brick buildings or obvious lack of services. According to Minya-Matay MP Salwa Abul-Wafa, some 70 per cent of the city remains in need of a mains sewage system. Inadequate facilities have left some areas of the city awash in water, including in Matay where earlier government plans to build a sewage network have been uncompleted since 1997. 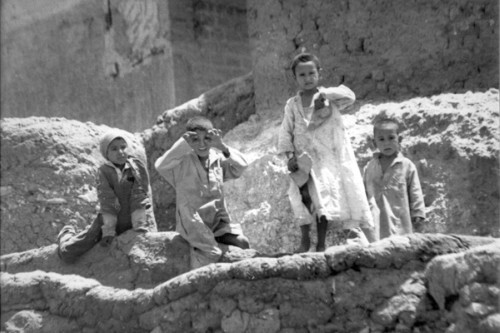 However, it is in the villages of Upper Egypt, particularly in rural communities in remote areas near cliffs and mountains, that poverty can strike hardest. 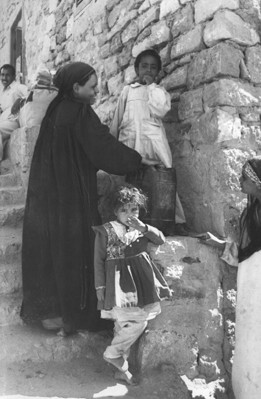 The village of Ezbet Mohamed Ibrahim in Maghagha north of Minya is a case in point. Set in open land and consisting of a cluster of brick houses, most of which have reed or wooden ceilings, where rubble, rubbish and poultry all share space with humans, the place seems to emanate poverty. Hajja Saaida Mubarak shares little with her name, since she is neither happy nor blessed as her names Saaida and Mubarak translate as into Arabic. An elderly woman whose deep wrinkles and hollowed-out cheeks are signs of a life of difficult living, she has to sleep on the floor as her red-brick house has neither furniture nor a bathroom. She shares the place with her 45-year-old son Selim who works as a fisherman earning a few pounds a day to feed his mother. He is not married, and when the river is not bountiful enough, he turns to his cousin, who occasionally lets him carry bricks for LE20 a day. The brown edges of the waterways that run through many impoverished villages in Upper Egypt attest to the many stories of those suffering under the onslaught of poverty, illiteracy and disease in the region. Talk to the villagers, and many rush to complain that they need clean water, mains sewerage, health clinics and schools. Stories of children dropping out of school, disease due to contaminated water, unemployment and malnutrition are common. NGO volunteers told the Weekly that many families live on just LE150 a month, while others live on donations, pensions or government assistance of between LE300 and LE600 a month. Yet, despite such serious conditions, some families still have many children. “Most of those living in remote and largely marginalised rural areas suffer severe poverty, particularly elderly women living on government pension or donations,” notes Abul-Wafa, the MP who is also secretary-general of the Al-Kheir Organisation for Comprehensive Development. Recent indications from a state-commissioned income and expenditure survey carried out by the Central Agency for Mobilisation and Statistics (CAPMAS) show that there has been a slight drop in poverty rates in Upper Egypt. “Preliminary results suggest an overall increase in poverty nationwide, but they have also shown a slight decrease in Upper Egypt,” CAPMAS consultant and professor of economics at Cairo University Heba Al-Lethi told the Weekly. Al-Lethi would not provide figures, but she did try to untangle the puzzle. This drop, probably not exceeding four or five per cent, may indicate that recent efforts focused on alleviating poverty in Upper Egypt are paying off, she added. The government’s Takaful wa Karama programme, established by the Ministry of Social Solidarity in early 2015, is a national social safety net programme aimed at protecting the poor through income support ranging between LE400 and LE600 per family depending on the number of members. Official figures indicate that the programme has so far covered more than 1,700 villages in Upper Egypt. “The Takaful wa Karama programme needs to make headway, of course, but the problem is that it also needs to be based on more in-depth surveys of those most in need because many remain left out due to inadequate data,” Abul-Wafa said. With many still being left out of social programmes for bureaucratic reasons, some speculate that migration could also be a reason why the figures indicate a drop in poverty rates in Upper Egypt. Minister of Local Development Abu Bakr Al-Gendi warned in a press conference more than a year ago that the poverty rate in Egypt as a whole had reached 28 per cent, while it had also jumped to 50 per cent, an unprecedented figure, in the cities of Upper Egypt. A CAPMAS report from 2015 provides similar figures, indicating that about 27.8 per cent of the total population is currently living below the poverty line, while NGO research claims that poverty accounts for 40 per cent of the population. Although Upper Egypt accounts for only 40 per cent of the country’s population, official figures indicate that it is also where 60 per cent of those living in poverty and 80 per cent of those living in severe poverty are located. Official figures indicate that more than half of the population in Upper Egypt is under the age of 29, while over one third of all young people there are among the poorest of society and more than half are jobless, according to a UNICEF report. Upper Egypt is predominantly rural with 75 per cent of its young people living in rural areas, and it is where the country’s poorest 1,000 villages are concentrated. “The poor, both men and women, are uneducated, out of the labour force or unemployed, work in the private sector, and have higher percentages of child labour,” Al-Lethi wrote in her study “The Gender Dimensions of Poverty in Egypt”. According to this study, women are more likely to be poor than men. About 70 per cent of young women in Upper Egypt are jobless, and whereas illiteracy rates account for 17 per cent of all young people in Upper Egypt, female illiteracy rates are twice as high as those for men. Less than four per cent of illiterate women are employed. Sheikh Hisham Azab of the NGO Qafelat al-Kheir, which has branches in many governorates in Upper Egypt, says that there has been “an obvious surge in efforts to alleviate poverty, and the government is easing restrictions on charity organisations”. Yet, “the problem remains much deeper and bigger than these efforts, and it needs broader plans on the state level,” he added. “Poverty in rural Upper Egypt is beyond the capacity of any NGO to alleviate alone since you are talking about major issues like infrastructure and unemployment,” he elaborated. Many young men and women cannot afford to get married. “Although marriage may cost only LE10,000 in many villages, it still remains challenging for many families to afford,” Sheikh Hisham lamented. One of the main reasons why Upper Egypt is suffering the most may be related to geography: the area of agricultural land in Upper Egypt is limited compared to the Delta in the north, while population growth is also high. Over 55 per cent of employment in Upper Egypt is related to seasonal agriculture, and the fact that urban expansion has encroached on arable land in the region to meet the growth in population has also contributed to the problem, leaving many people unemployed or with no other choice than migration. In the case of Upper Egypt, the desert area is large, while agricultural land and water resources are limited. In the meantime, “no reclamation projects have been established to absorb the overpopulation, as has been the case in the Delta, where the availability of water resources has made reclamation much easier,” she said. Most farmers lack awareness of how to increase their yields and market their crops, and this has compounded the problem. “Although the productivity of one feddan of agricultural land is higher in Upper Egypt than in the Delta, the problem remains in the fact that such productivity does not yield profits for the farmer in the absence of purchasing power, good markets, and a network of roads for transportation,” Al-Lethi said. Unable to make a profit, the region’s small farmers may either succumb to poverty or abandon growing crops altogether, migrating to the city in search of a living with many landowners also selling their lands. This, in turn, has led to a food shortage that has led to increased imports and put more pressure on the country’s economy. Figures indicate that about 30,000 feddans of agricultural land are lost to informal settlements, or sometimes industrial expansion, per year. Meanwhile, recent statistics indicate that Egypt is facing serious water scarcity, with an annual water deficit of around seven billion cubic metres posing further hazards to agriculture. “The state has to protect farmers and provide facilities and a good road network connecting rural Upper Egypt with the Delta and Cairo,” Al-Lethi said. “The government should also establish industries based on the agricultural harvests to generate employment.” The current absence of the government-affiliated farmers’ organisations that used to provide guidance to farmers on techniques to increase productivity and reduce the waste of water has further reduced farmers’ incomes, according to Al-Lethi. However, Upper Egypt has been suffering from decades of marginalisation, and it has often ranked low on the government agenda. 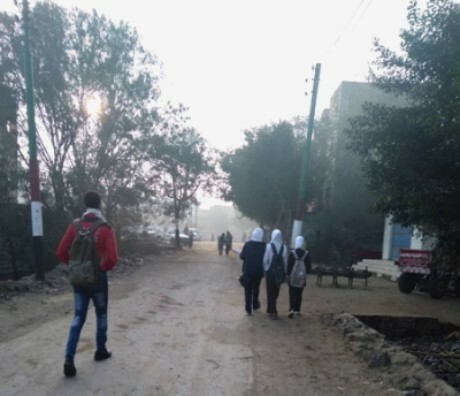 Abul-Wafa agrees, saying that a case in point has been the fact that a 1997 government plan to build a sewage system in Minya has not been completed to date. “If this is the case in the city, then you can easily imagine the kind of deprivation the villages have been suffering from for decades,” she complained. It is not uncommon, she said, for villagers in deprived areas that do not have drinking water to walk long distances to carry water from a water station built by her organisation and funded by a mobile-phone company back to their homes, since her organisation cannot raise the funds needed to provide piped water to the villages. The government has recently announced a number of decisions aimed at reviving Upper Egypt as a potential local and regional investment hub. In the closing session of the 2017 Annual Youth Conference in Aswan, President Abdel-Fattah Al-Sisi announced the establishment of an authority for the development of Upper Egypt that would be tasked with creating jobs and maintaining Nubian monuments and have funds of up to LE5 billion. A law to establish the new authority was ratified by parliament last month, and it will bring together a number of ministries in attempts to concert efforts to develop Upper Egypt. Al-Sisi had earlier stated that the government aimed to make Aswan “the capital of the African economy and culture” and improve the quality of the lives of all Upper Egyptians by granting loans to low-income families to start small and micro-projects. He has also announced the launch of a national project to create industrial zones for micro and small industries in the region, as well as the establishment of 200 small factories in the Upper Egyptian governorates. The Takaful wa Karama programme will be expanded in a way that will also include creating opportunities for the children of those most in need. Official statements indicate that 238 projects have been launched in Upper Egypt, including the development of 3,258 school classes, with 179 new classes being built through an Egyptian-Japanese joint programme. The construction of a power plant with a capacity of 4,000 MW is well underway in Beni Sweif governorate with a total investment of two billion euros, while a power station with a total capacity of a 1,000 MW has been built in Assiut at the cost of $746 million. The government’s focus on Upper Egypt may also attract investment to an area that has long remained unattractive to private business and ranked low in job opportunities. The World Bank’s “Doing Business” report for 2016 noted that Sohag “ranked 12 out of 15 Egyptian cities in terms of the ease to start a business”, for example. Sohag also “ranked ninth in terms of obtaining construction permits, and sixth in registering property ownership”. However, governments cannot do everything, and many NGOs and international donors have also been stepping onto the scene with aid programmes. On 25 December last year, for instance, two giant NGOs, Al-Orman and RAIE Masr for Development, signed a LE100-million partnership protocol to provide services to the most impoverished villages in Upper Egypt. The protocol involves rehabilitating buildings, providing medical services for those most in need, and helping orphaned girls to get married. The two NGOs will help provide the most impoverished villages in seven governorates with needed infrastructure, including in Beni Sweif, Sohag and Minya. The protocol will also help carry out 500 open-heart surgeries and 500 eye surgeries for the poor, in addition to helping 400 orphaned young women get married. Al-Orman has already been engaged in a major project to upgrade 700 of the most impoverished villages in Upper Egypt. In the meantime, RAIE Masr for Development has similarly been providing different services in Upper Egypt, the most prominent of which has been the establishment of mobile clinics that have been visiting impoverished villages to provide medical services. International organisations have also launched development projects in Upper Egypt. 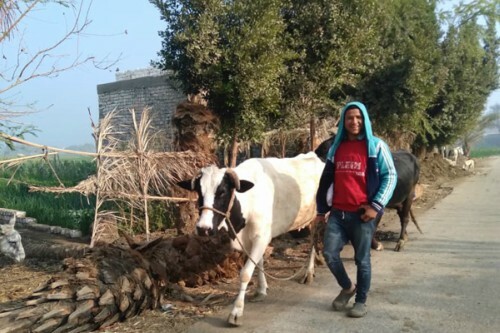 The UNDP’s Egypt Network for Integrated Development (ENID) Programme and the USAID-funded project Feed the Future: Egypt Food Security and Agribusiness Support, scheduled to end in 2020, are two significant cases in point. ENID says on its website that it aims at “enhancing the well-being of the people of Upper Egypt by implementing an integrated approach in income-generation, food security, and improved basic services”. Handoussa talks extensively of the major role Al-Nida has been playing in the sustainable development of villages in Upper Egypt. “Empowering women has been one major achievement of Al-Nida,” she said. One of the main Al-Nida projects has thus been to empower women on different levels by providing them with literacy classes and vocational training in 60 villages in Upper Egypt. 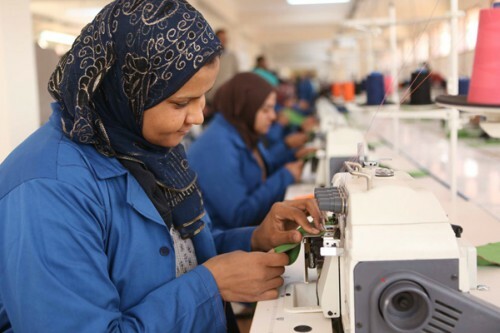 “The project has already provided women with vocational training in 26 handicrafts, and now a whole generation of trainers has graduated and is ready to train another coming generation,” Handoussa said. Empowering women, however, can be a challenging job in a highly conservative society like that of Upper Egypt. “We spent time visiting villages and talking to families because most men would not allow their wives or daughters to work or get educated,” Handoussa said. In the field of agriculture, Al-Nida has been studying the possibility of planting berry trees, particularly in Qena. “We have managed to start a comprehensive project through a farm growing berries and breeding silkworms with the aim of the silk being used for the manufacture of clothes in a nearby factory that we plan to establish,” Handoussa told the Weekly. Other smaller organisations have also been actively contributing to community development by similarly focusing on training women and young people and providing them with loans to start micro-and small businesses. There have also been similar rehabilitation projects and infrastructure projects to build pipe networks and sewage systems. The question of why poverty has persisted despite such efforts is an open one. Both Abul-Wafa and Hammam insist that the lack of accurate databases and field studies is one main reason why many projects in the area have failed to eradicate poverty. “This lack of accurate database leads to the fact that many programmes target those who are less deserving, leaving those in dire need in oblivion,” Abul-Wafa suggested. “There have been many times when poor families resort to such loans in times of financial crisis, for instance selling a cow instead of starting new projects using it, to cover their living expenses because they simply have no alternatives,” Hammam elaborated. Many projects also lack sustainability, spanning just two or three years. “Development should be sustainable, and projects should stay in the field for many years and be based on deep and comprehensive studies in order to bear fruit,” Handoussa said. Many obstacles, however, remain in the way. Bureaucracy is one major challenge in the absence of a single government body to deal with. “In many cases, we have had to wait for months on end to get security permits from the authorities to be able to receive funds from donor countries, all despite the fact that we are a trusted organisation that has been working in the field for years,” Handoussa complained. The current lack of infrastructure is a further challenge. The recent government-built roads and highways will make headway, of course, but the consensus remains that a broader network of roads connecting the south to the north of the country is much in need in order for villagers to be able to market their produce. “We need a harbour in Safaga to be able to import needed materials and export manufactured products, for example,” Handoussa explained. Educational and health services are also essential components of sustainable development, according to Handoussa. “We’ve spent much time and money training trainers that could have been saved if the country had built more vocational schools in Upper Egyptian villages,” Handoussa suggested. For smaller organisations, funds remain a major challenge in the light of the inflation following the flotation of the pound in 2016. “What we could achieve many years ago is now hardly achievable, as people have been contributing less and building infrastructure and starting small enterprises costs much more,” Abul-Wafa said. “Our hopes are now pinned on the government’s new focus on Upper Egypt,” she concluded.